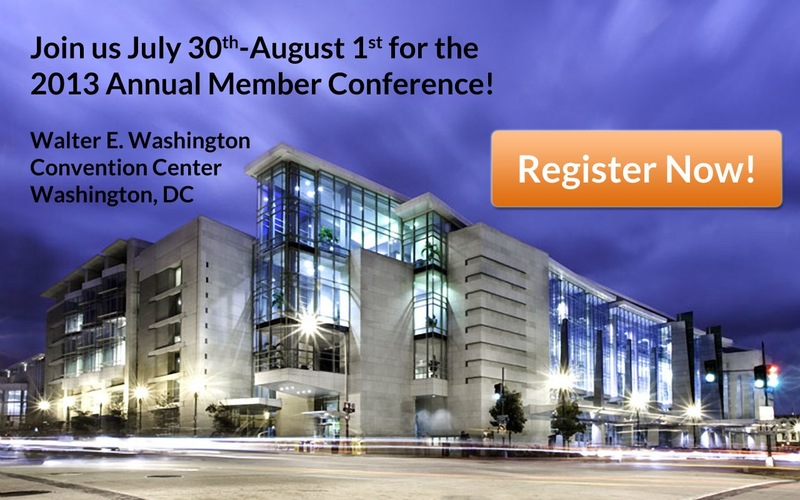 IPA is excited to return as an exhibitor at the annual InsideNGO Conference. We hope you will join us in celebrating the 40th anniversary of InsideNGO’s service to the development community, and their achievements in bringing together members to learn, collaborate and innovate! This year’s conference will offer more than 100 sessions, led by sector experts, and have networking tracks dedicated to honoring the important role that operations staff play in advancing the work of mission-driven NGOs worldwide. 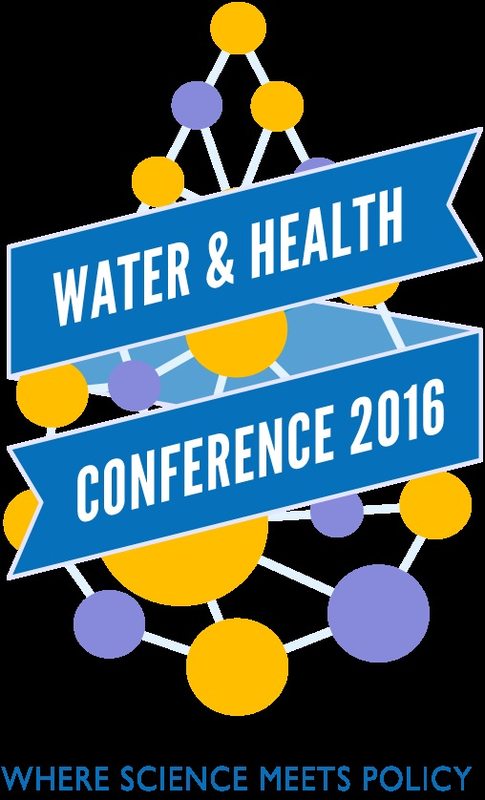 Our team of WASH experts will attend Groundwater Week to network with industry colleagues and learn more about trends/ developments in the field of water sanitation and hygiene. IPA’s Program Implementation & Support Team is dedicated to supporting WASH programs around the globe. Our focus areas include: drilling vehicles and equipment, filtration/ sanitation devices, and hygiene items. Are you gearing up for NetHope Global Summit 2016? This year is projected to have 250+ attendees from more than 38 countries. In past years you could find IPA in the exhibit hall; this year we are switching things up! Come enjoy breakfast with us on Tuesday and Wednesday morning then catch us at the Plenary Dinner Wednesday evening. IPA looks forward to participating in this first ever international outreach event, exclusive to US Small Businesses. The conference theme is “Diversifying our Partners to Achieve Our Mission”. We will have the opportunity to network with 20 USAID Missions from Sub-Saharan Africa, 13 USAID Large Business Prime Contractors, and other Federal Agencies such as the Department of State (DoS) and Millenium Challenge Corporation (MCC). Did you know that 2.4 Billion people lack access to improved sanitation facilities? IPA is proud to join with NGOs and Government Representatives to address Water, Sanitation, and Hygiene (WaSH) in a global context. IPA will be a returning exhibitor at the annual InsideNGO Conference. This exclusive, members only event tops the chart for international relief and development events worldwide and we are always honored to be a part of it! This year’s conference provides endless opportunities to learn, network, and celebrate the accomplishments of our mission-driven industry. We hope you will join us for sessions led by sector experts, breakout discussions, and networking opportunities in the exhibit hall. Thinkers & doers, change makers & expert practitioners will converge by the hundreds for the first Devex World. This global development event is a full day of inspiring, interactive, and collaborative sessions focused on connecting and informing sustainability professionals to do more good for more people. Devex World is not just about understanding this future. It’s about charting it for individuals, organizations, and the world. This more global, dynamic, competitive ecosystem is brimming with possibility. IPA is excited to join with thought leaders from around the globe to discover new ways of using Information and Communication Technology (ICT) to achieve the Sustainable Development Goals (SDGs). The conference will focus on ICT solutions currently impacting development, as well as the cross-sector affiliation between government, NGO, and private sector strategies. The IPA exhibit will display our capabilties in implementating global ICT programs and illustrate our commitment to clients in the international aid and development community. 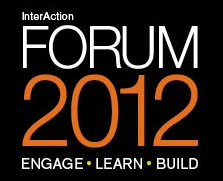 IPA will be exhibiting at InterAction Forum for the 5th consecutive year. It is always a pleasure to gather with leaders from governments, not-for-profits, corporations, and civil society to advance collaboration and raise the effectiveness of our work. This year’s event will cover a variety of topics from technological advances, new financing mechanisms, and multisector partnerships to the complex challenges of climate change, economic instability, and food insecurity. We are excited to join together in moving towards a more sustainable and equitable future! IPA looks forward to hosting a booth at the AIDF Africa Summit 2016; this forum is the first in a new event series for the UN Conference Center in Addis Ababa. We will join with more than 250 senior representatives and advisors, in the development industry, to learn about technological innovations and their application to aid strategy in East Africa. The summit will showcase best practices, current initiatives, and latest innovations from various stakeholders in the region; and provide an opportunity for networking and knowledge exchange between regional governments, NGOs, and organizations from the private sector. FHI 360, Plan International USA, and TechChange will host the 4th Annual Fail Festival DC 2015. This event is guaranteed to provide laughter and an understanding there is great value in learning from our mistakes and failures. IPA looks forward to collaborating with 300 of their peers at this event on how to avoid starring in next year’s Fail Festival while indulging in some tasty nibbles. IPA is excited to be a NetHope sponsor and exhibit at the NetHope Global Summit 2015 in the UN City of Copenhagen, Denmark. The theme for this year’s summit is “Embracing Change for Collective Impact”. The event offers interactive sessions and workshops that work towards building a legacy of collaboration and partnerships. We look forward to the joint collaboration with NetHope and its members to explore, understand and chart a course together to implement IT integration in altruism, development and preservation work. Attendees will learn about the latest IT trends and gain knowledge necessary for making informed decisions for IT infrastructure. IPA will explore practices other companies have adopted, common challenges, and new solutions. IPA is looking forward to attending and actively participating in the MERL (Monitoring, Evaluation, Research and Learning in Development) Tech Conference. The conference will examine what MERL technologies are effective, how open data improves decision making, the challenges of security and privacy issues, and what enterprise and IT systems should be implemented. 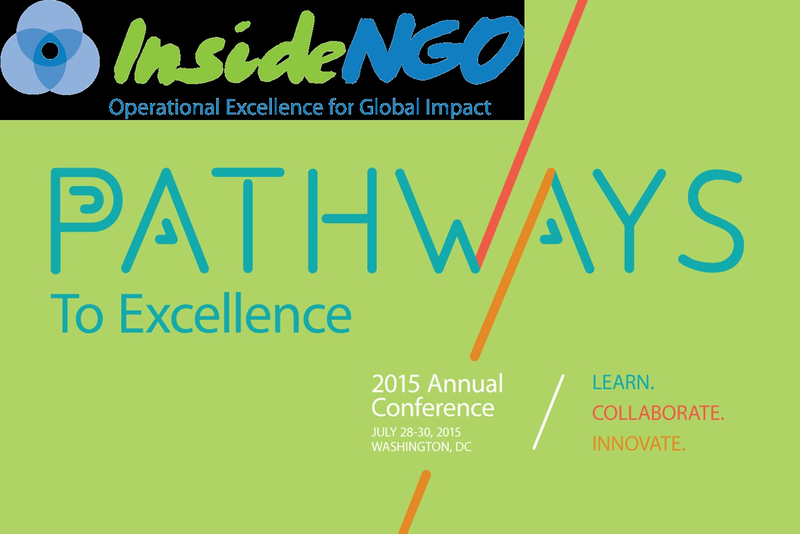 IPA returns for a third year to be an exhibitor at the 2015 Inside NGO Conference - Pathways to Excellence. This is an exclusive, members only event. They will be offering over 100 educational sessions; and the opportunity to strengthen your global team, learn from expert practitioners and celebrate operational excellence. It is one of the largest gatherings and networking opportunities for professionals in the NGO development and international aid relief community. 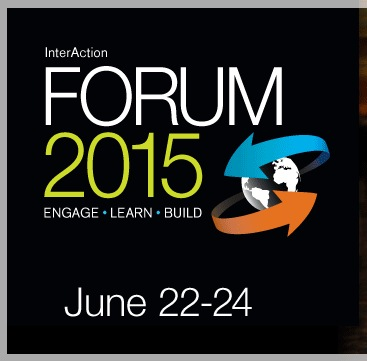 IPA will be an exhibitor at the 31st annual InterAction Forum 2015. The forum unites leaders from non-profits, governments, philanthropy, corporations, and civil society to advance collaboration, effectiveness, and innovation in their initiative to end poverty and move forward to a more sustainable and equitable future. Fast Break is an opportunity for IPA to network locally and obtain new business leads. This Fast Break is hosted by Rick Batyko and the topic will be "Marketing our region to Attract Business and Talent". We look forward to meeting potential new business contacts and visiting with established ones. IPA is excited to participate has a vendor at the USAID 8th Annual Small Business Conference. The conference is designed to educate small businesses on how to conduct business and network with USAID. This year they are expecting over 200 attendees from the small business community, Federal Organizations and prime contractors. IPA is proud to be a member of the Canton Chamber of Commerce. We are looking forward to hosting an exhibitor's table at their Spring 2015 NETWORK event. In addition to hosting a table; IPA will participate in their speed networking opportunity for lead building, learning and Marvin Montgomery's Seven Keys to Effective Networking. IPA is excited to be an exhibitor this year at the Dayton Business Matchmaker Event at Wright State University Nutter Center. This unique event is designed to give Ohio businesses the opportunity to meet one-on-one with government buyers, prime contractors and other large businesses. This event is another opportunity to network with other small businesses or other business partners to jointly pursue contracting opportunities. This event will also offer training sessions on the expectations and guidelines of doing business with government agencies and prime contractors. IPA returns has an exhibitor for the 25th Anniversary Government Procurement Conference. 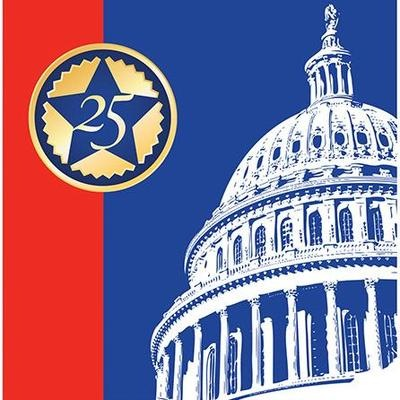 This is a national conference providing the opportunity for the Federal Government, its suppliers and various other businesses such as small, minority, service disabled, veteran-owned, HUBZone, and women-owned business to network and develop relationships. In addition, there will be education conference sessions, procurement matchmaking, and a dynamic exhibitor showcase. IPA staff members recently attended Export Control Basics and Best Practices of Successful Exporters training in Cleveland, Ohio, to gain a more meaningful perspective on U.S. Export Controls and Regulations. This valuable opportunity will ensure that all IPA processes are current and in accordance with export paperwork and regulations. 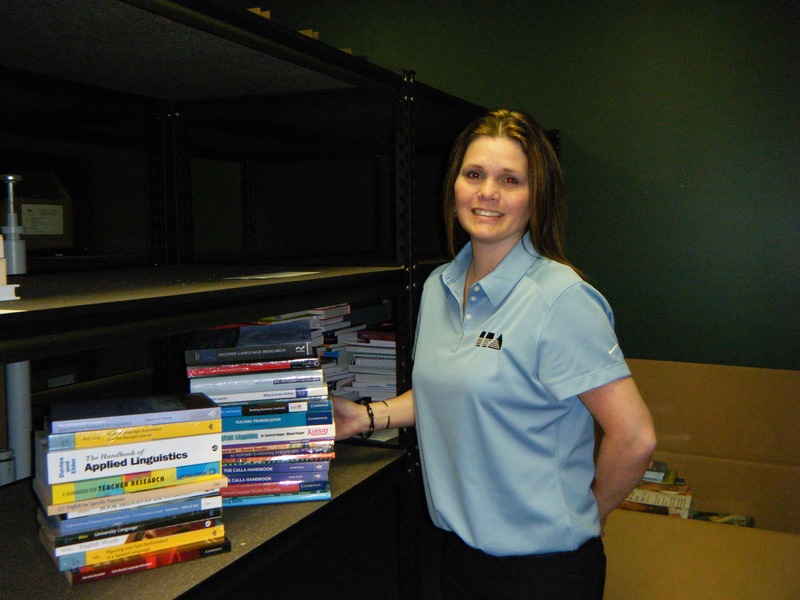 IPA's commitment to continuous education supports our commitment to providing the highest level of customer service. Two Days of Inspiration! The Aid & International Development Forum’s 6th annual Disaster Relief Summit is the world leading gathering for international humanitarian experts at relief agencies, NGOs and charity associations, UN and government agencies, development banks and donors and innovative technology and service providers. AIDF summits are designed to create a mutual platform to facilitate and encourage exchange of thoughts, share expertise and present the lessons learned through first-hand experiences. IPA's Managing Director, Barry Kroon, will participate this year on the Expert Panel discussing the topic "Supply Chain Solutions for Transport and Shipping Pitch Tank". NetHope has once again extended an invitation to IPA, an ongoing supporter and member, to attend their annual Global Summit. The NetHope Global Summit has previously been sponsored by the following world technology leaders; Microsoft, IntelAccenture, CDW, ESRI, airbus, Riverbed and the Rockefeller Foundation. This year Cisco Systems will host the summit at their main Campus in San Jose, California. The three day agenda includes talks by speakers about technology trends and new products, interactive group meetings in specific strategic areas and presentations to surface issues that will encourage group problem resolution. 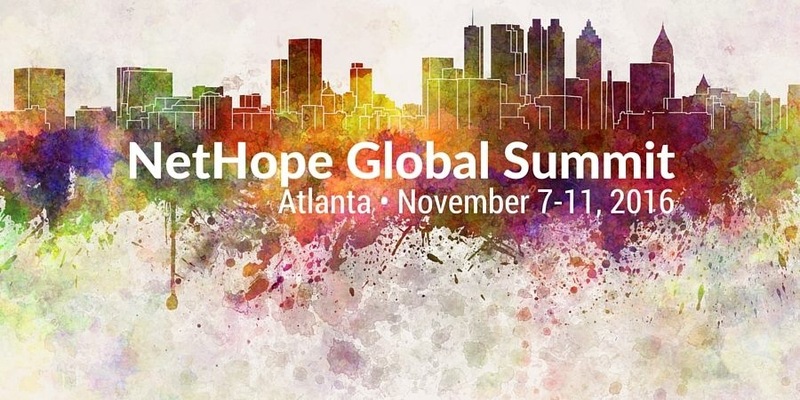 To learn more and register for the Nethope Member Global Summit 2014 visit https://nethope.onehub.com/nethope-summit-2014. IPA will be an exhibitor for the second consecutive year at the InsideNGO Annual Member Conference. This premier event is an opportunity for professionals to learn and network in the international relief and NGO Development community. Annually there are over 6,600 participants that benefit from webinars, workshops, annual conference and round tables hosted by InsideNGO. 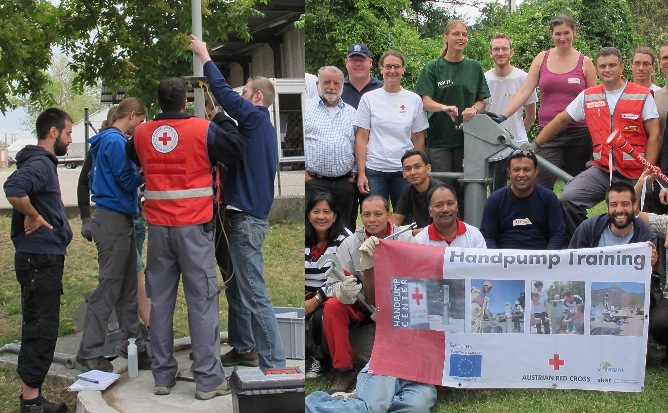 As part of our ongoing efforts to increase the range and quality of services we are able to offer clients, IPA attended a Handpump Training hosted by the Austrian Red Cross in Vienna, Austria. The 5 day course provided a comprehensive understanding of different hand pump models, their application range and limits, as well as of technical & institutional aspects related to hand pump maintenance. IPA traveled to the Office of American Spaces at the American Embassy in Vienna, Austria to discuss an ongoing BPA project. 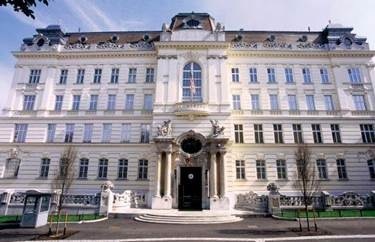 Since 2012 IPA has partnered with the Viennese Embassy to provide books, videocassettes, DVDs and other multimedia materials on a variety of public diplomacy topics, that are distributed to embassies around the globe. Through this program, IPA assists U.S. Embassies worldwide in developing libraries that enable local people to be educated on American culture. IPA will exhibit at the 2014 (30th Anniversary) InterAction Forum in Washington, DC. InterAction’s nearly 200 member organizations gather each year to learn about the latest developments in the NGO field, attend workshops, plenary sessions and lectures from industry leaders. Not only does 2014 mark InterAction's 30th anniversary, but this milestone is framed by enormous and rapid changes in the development and humanitarian landscape – technological advances, multi-sector partnerships, and new financing mechanisms, as well as complex challenges from climate change to food insecurity and economic instability. IPA recently attended BookExpo America (BEA) in NYC. BEA offers the book industry access to new titles, authors, and education about the publishing industry. It is a dynamic environment for networking, sourcing, and relationship building in the book industry in North America. BEA combines the largest selection of English language titles on the planet and is the largest gathering of booksellers, librarians, retailers, and industry professionals; making it the #1 place to experience the latest technology trends, discover new titles, and network with other industry professionals. A NetHope Summit’s agenda includes three core days of program and project reviews, solving shared problems and action planning, with two optional in-depth work session days before and after the summit on Monday and Friday this year. This is not a traditional conference, but rather an interactive working session of members and sponsors. IPA will be a first time exhibitor at the InsideNGO Annual Conference. InsideNGO is collaboration of over 285 member organizations who seek to strengthen the operational and management capacity of international NGOs. 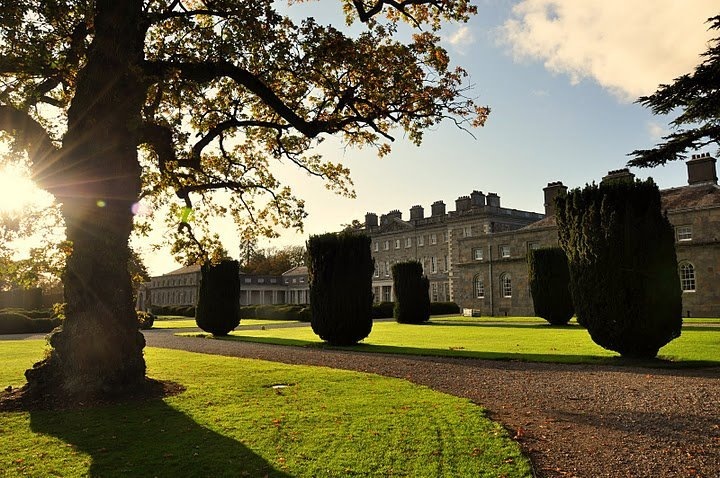 Their Annual Conference is an unparalleled opportunity to interact with leading experts and members as they offer insights and share strategies and proven practices on topics specific to the international development community's needs. 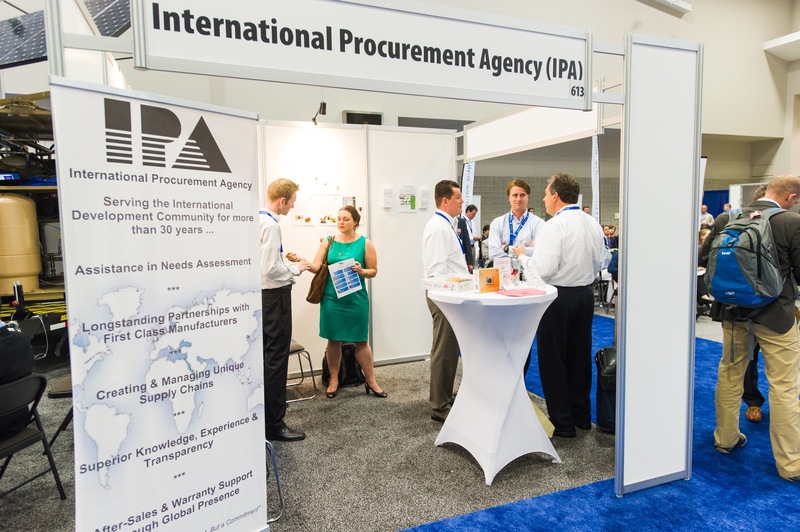 IPA exhibited once again at the 2013 Aid and International Development Forum in Washington, DC. This unique event hosts a multitude of learning opportunities through its workshops, interactive zone, and lectures. 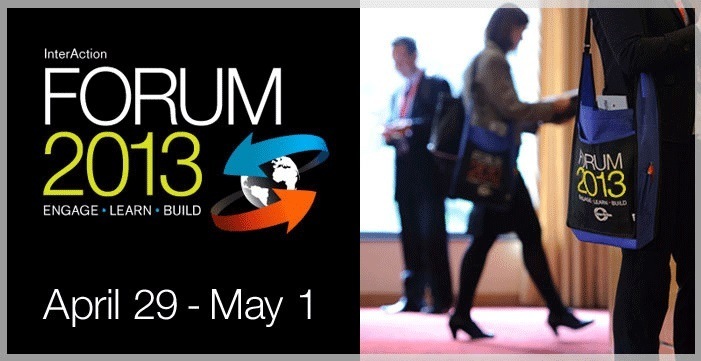 IPA will exhibit at the 2013 InterAction Forum in Arlington, VA. InterAction’s nearly 200 member organizations gather each year to learn about the latest developments in the NGO field, attend workshops, plenary sessions and lectures from industry leaders. Representatives from IPA and RockBuster visited a client in Lusaka, Zambia to observe and assist in the implementation of their newly received drilling rigs. IPA visited the American Embassy in Vienna, Austria to discuss a recent BPA contract award for books and other multimedia materials. IPA has been assisting U.S. Embassies in developing their libraries to educate local people about America’s past, present and future. Once again, IPA was invited to exhibit at the NetHope Members Summit, held in Redmond, WA at Microsoft Headquarters. As usual, the summit brings together its 30+ members to connect, collaborate and innovate solutions for the developing world. The Aid and International Development Forum aims to bring together practitioners and policy leaders from governments, UN, NGOs and private organizations, to highlight the challenges faced by the aid and development sector and share innovative ideas. 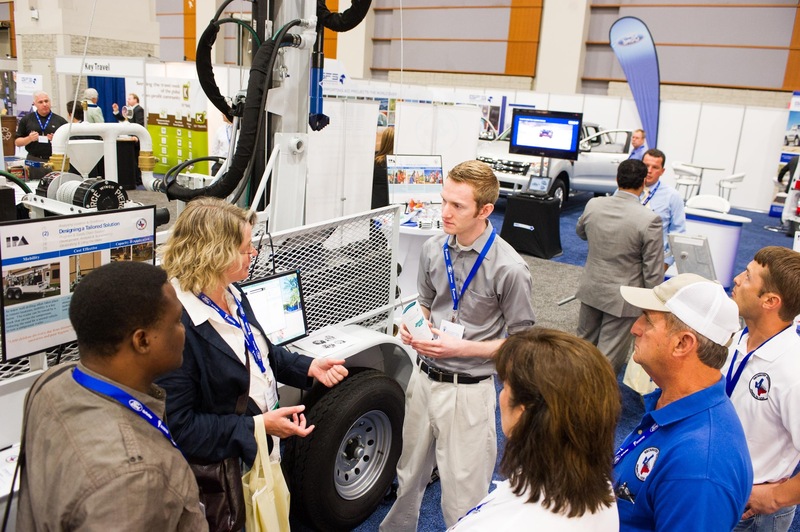 IPA surprised many AIDF attendees by bringing a full size, fully functional water well drilling rig to the event. The exhibit also featured a fully operational hand pump. The popularity of the booth was evident when IPA was named one of the Top Three Best Stands of 2012! IPA attended the InterAction Forum in Arlington, VA, a gathering where the U.S. international NGO community and a group of diverse partners gather to strategize on a wide range of issues. Attendees hear from leaders such as Nobel Peace Prize laureates, senior U.S. government officials, leaders of the World Bank and UN, as well as private sector executives. 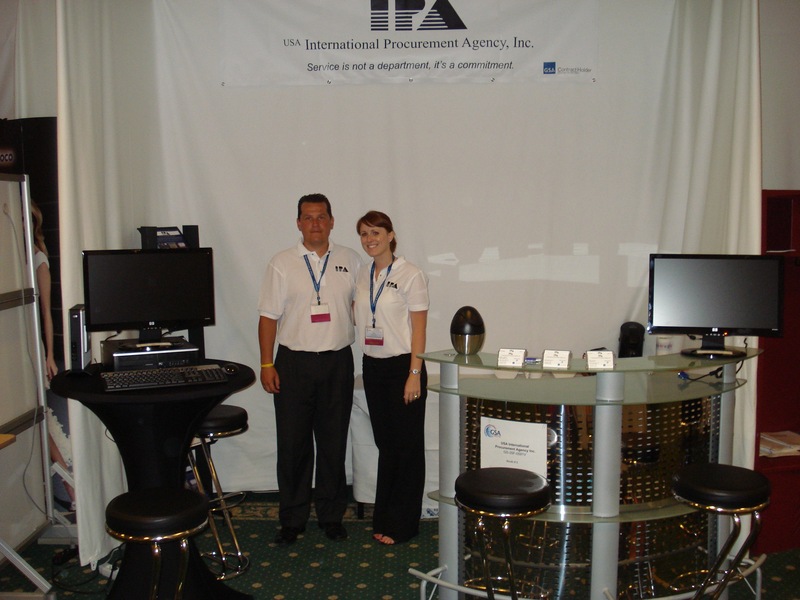 IPA exhibited at the 22nd Annual OSDBU Procurement Conference 2012 in Washington, DC. This conference is a national conference fostering business partnerships between the Federal Government, its prime contractors, and small businesses. The conference also includes educational conference sessions, procurement matchmaking, and a dynamic exhibitor showcase. 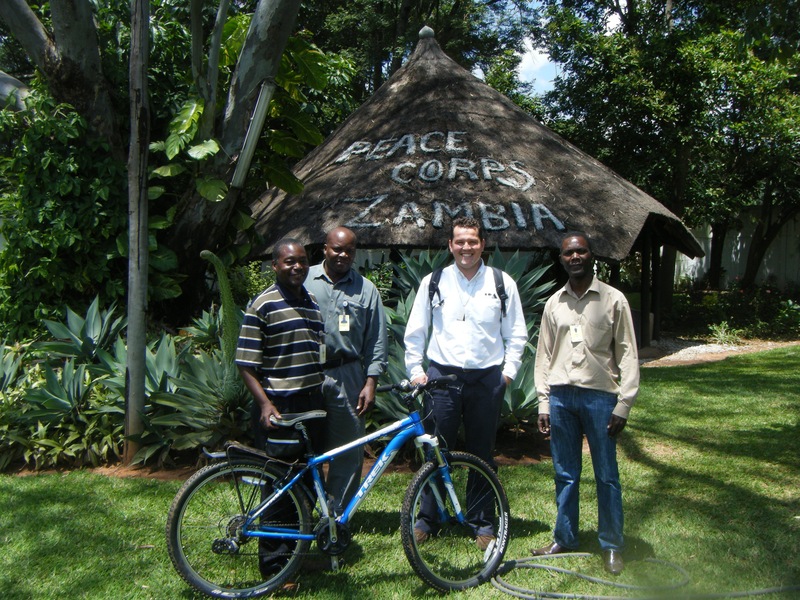 IPA staff traveled to Lusaka, Zambia to meet with IPA’s local representation for the ongoing WASH (water, sanitation and hygiene) programs being implemented through Africa. In addition to that project, IPA visited several clients including World Vision, USAID, the American Embassy and Peace Corps. With the current investments in infrastructure, education and resources, Lusaka is increasingly becoming a commercial hub in southern Africa. IPA exhibited at the Federal Business Council’s event for the Foreign Service Institute in Washington, DC. This event brings together the largest gathering of the U.S. foreign affairs community. IPA traveled to Istanbul, Turkey to conduct a factory inspection for a potential manufacturer of goods. As IPA strives to provide quality, competitively priced goods, we are always looking for new sources of equipment. 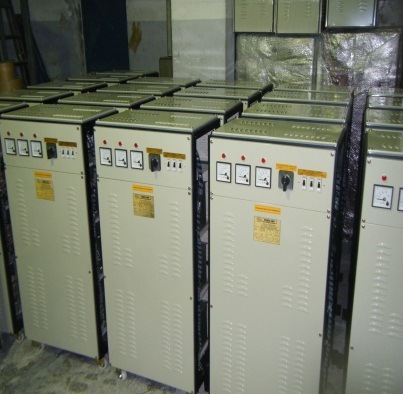 We are pleased to add another manufacturer to our repertoire of quality suppliers. IPA was invited to present at two events during NetHope’s 10th Anniversary Summit in beautiful Dublin, Ireland at Intel Headquarters. 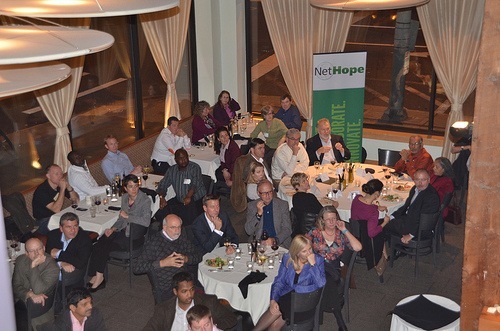 NetHope formally announced IPA as the logistics partner for the NetHope / Cisco Donation Program. IPA highlighted the donated logistical services that are now available to all NetHope members. IPA representatives from both the US and European offices attended the 110th China Import/Export Fair in Guangzhou, China. 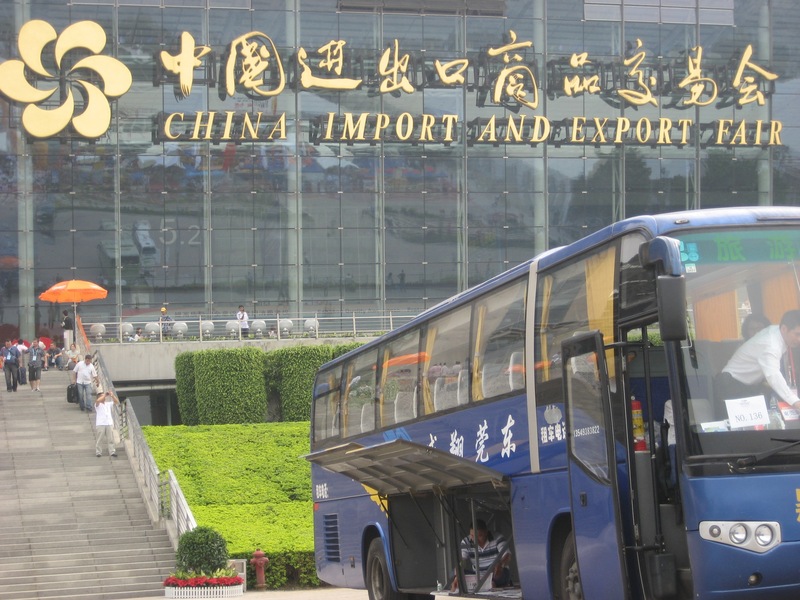 This weeklong event showcases the latest suppliers and technology in the Chinese markets. This particular event focused on textiles, offices supplies, recreational products and health products. IPA also conducted three factory visits of current and potential suppliers. IPA takes prides in being involved in the entire supply chain – even production! 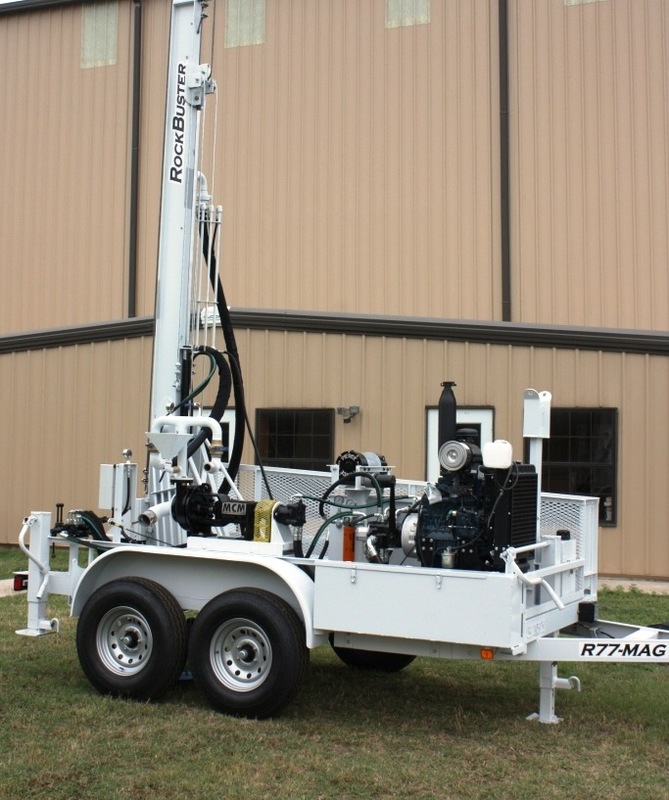 Toward the end of 2011, IPA developed a partnership with RockBuster International to develop an innovative (low cost) solution to water well drilling. IPA representatives visit the RockBuster factory in Jewett, Texas several times throughout the year to discuss the latest in water well drilling technology and solutions. 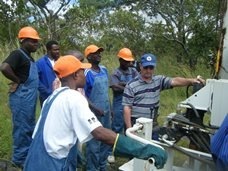 The first IPA supplied RockBuster drill rigs were put in use in Africa in 2012. IPA representatives from both the US and European offices attended the 109th China Import/Export Fair in Guangzhou, China. 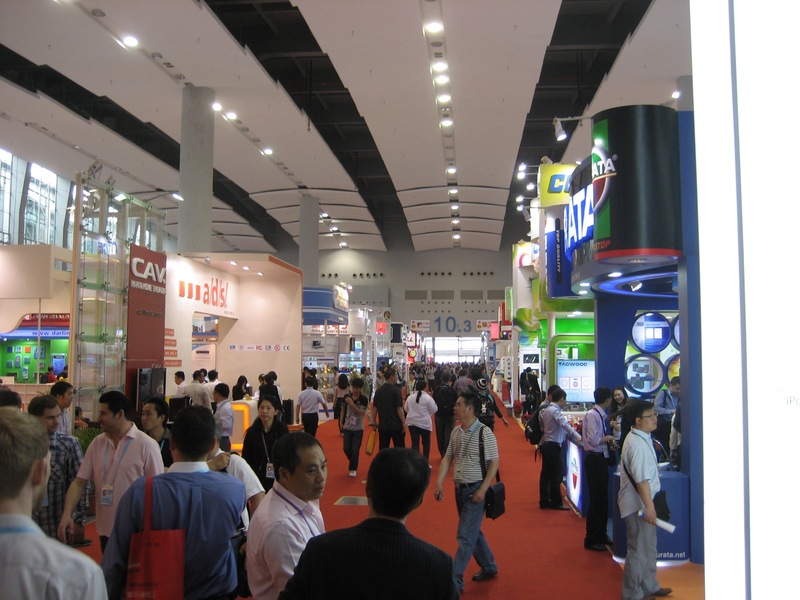 This week long event showcases the latest suppliers and technology in the Chinese markets. This particular event focused on electronics, lighting, vehicles, machinery, hardware and building materials. IPA was honored to be part of this year’s NetHope Summit (www.nethope.org) in Santa Clara, CA. IPA will formally become a NetHope supporter. With strategic partners like Dell and Cisco, IPA can continue its successful mission of worldwide project support for International NGOs. IPA's belief in centralized procurement supports NetHope’s mission of “Wiring the Global Village”. 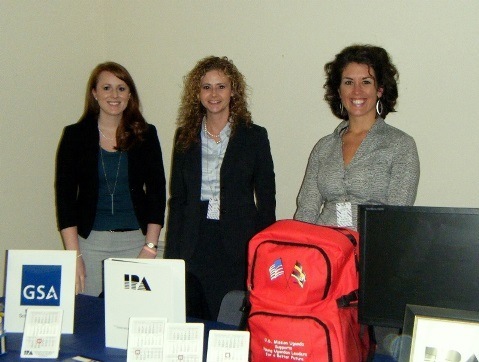 IPA was selected to be an Exhibitor at the 2010 GSA Outreach Exhibition in Stuttgart, Germany. With only 70 spots for 500 applicants, it is an honor to be part of this great event. 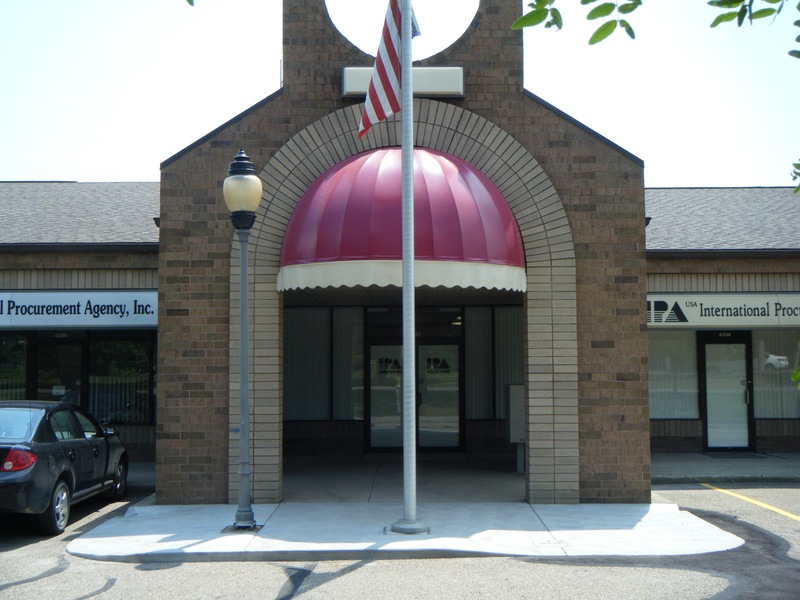 IPA opened its onsite consolidation center in Canton, Ohio. Having this onsite facility further enhances the quality of IPA’s international logistics and supply chain management services. Export packaging is applied to each individual order and unique to the nature of the cargo and final destination. After a lengthy application period, IPA was awarded its GSA Schedule 70 (IT). IPA is excited to be part of the GSA network and proud of the distinction it brings.